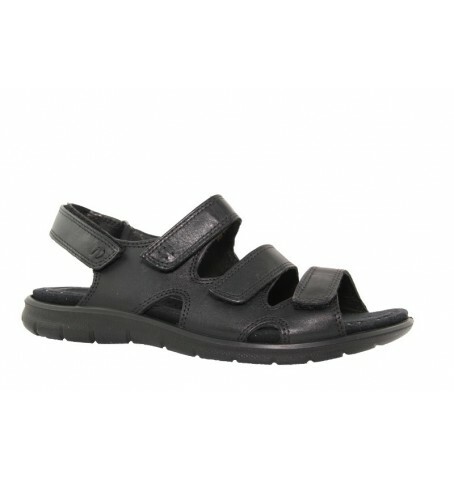 An update to the popular Breeze, this 3-strap sandal combines soft black leather and black nubuck uppers for a distinctive look. Removable microfiber-covered insole gives added support and easy cleaning. Leather lining for a soft and cool environment inside the shoe. Tough, yet supple sole for all day wear ability. Gentle cushioning adds to the comfort factor.